Tre Bryant broke onto the scene in 2017 with a blistering start to the season, but missed most of the year due to a knee injury. That injury has now led him to retire from football. Coach Scott Frost confirmed the news following Friday's practice. "Tre Bryant has come to us and said he is going to probably move away from football," Frost said. "He's been incredible since we've been here. Had some knee issues. Beginning of camp he looked great. I think he felt great. I think he's just kind of figured out that he can't do it with the condition that he has. We're going to support him and help in any way that we can. I just don't think his knees will hold up right now." Bryant impressed in the 2017 season opener, rumbling off 192 yards. He went down with his knee injury for good on Sept. 9 of last year, after 102 yards through three quarters against Oregon. He was confident he would return fully healthy through fall camp, but it appears his condition was worse than expected. 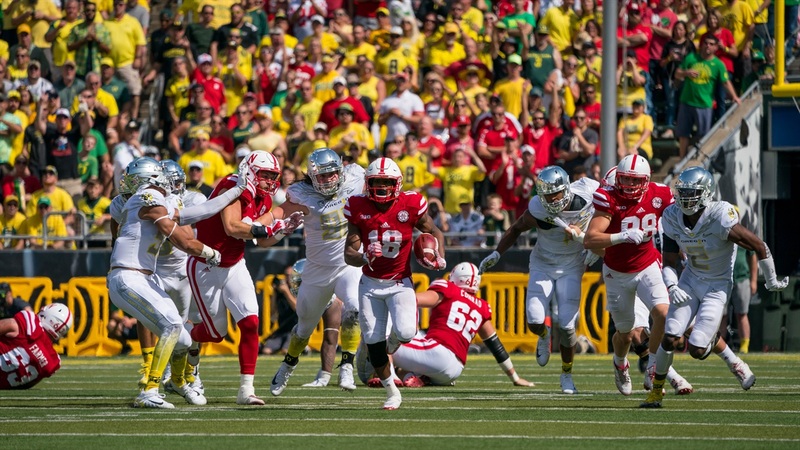 "He just has bone-on-bone to some degree in both [knees]," Frost said. "We were going to try to keep him on a pitch count and only give him so many reps in practice and so many reps in the game. He's good enough to be a great player. I feel terrible for the kid because I think he had a future in the game and a bright future in the game. It gets hard. Without saying too much, he talks about going home and not being able to sleep at night because of the aching and the pain in there. "This game has to end for all of us at some point. It's just too bad when it has to end too early." Nebraska's scholarship running backs are now Greg Bell, Maurice Washington, Devine Ozigbo, Mikale Wilbon, Jaylin Bradley and Wyatt Mazour, a walk-on that was placed on scholarship Friday. To hear more from Frost, check out his post-practice video here.